Jobs, jobs, jobs! Exciting job opportunities on the horizon for students and graduates! OneAmerica is seeking a creative, strategic, and experienced Special Projects Manager to implement its nationally expanding English Innovations project. The ideal candidate is a confident program manager who has the commitment and ability to manage and implement a start-up project with multiple moving parts. 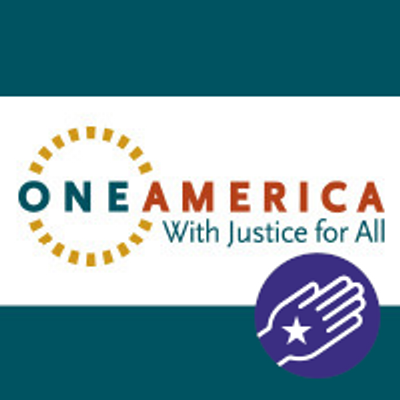 OneAmerica, in partnership with the Learning Games Network and the National Partnership for New Americans, is leading a national project utilizing technology to expand access to English language learning (ELL) and digital literacy opportunities for immigrants, particularly potential beneficiaries of the Deferred Action for Childhood Arrivals (DACA) policy. This effort is possible through support from the Bill & Melinda Gates Foundation. The program is centered on OneAmerica’s English Innovations model, which uses blended learning instruction – a combination of face-to-face learning in a classroom setting coupled with online game-based learning. The live instruction will incorporate academically rigorous best practices for ELL education and will be delivered in six sites around the country with over 74 hours of in-class instruction plus additional time learning outside of class. Xenos, a game-based learning tool, will be the model’s online component. Developed by the Learning Games Network, Xenos combines a virtual world, games, activities, and community in a playful, social, language-learning application. Independent research found that 50% of participants in the pilot program made gains in their English language skills over 12 weeks that were equivalent to those of traditional methods over a year. This national project will be the basis for the establishment of a new initiative, the English Innovations Institute, which will seek to support and advocate for innovative best practices in ELL strategies that advance immigrant integration and economic opportunity for immigrant and refugee populations in the United States. Interested candidates should submit a resume and cover letter, along with three references, to Audrey Buehring, Director of Special Projects, at jobs@weareoneamerica.org with the subject line “Special Projects Manager.” In your cover letter, please describe how your personal and professional backgrounds align with your interest in working with OneAmerica. Deadline for applications is Friday, May 8, 2015. Applications will be reviewed and interviews scheduled on a rolling basis. Please, no phone inquiries. Centro Legal de la Raza (Centro Legal), founded in 1969, is a comprehensive legal services agency focused on strengthening low-income and Latino individuals and families by providing free and low-cost, bilingual, and culturally competent legal representation, education, and advocacy. The mission of Centro Legal is to protect and expand the rights of low-income people, particularly monolingual Spanish-speaking immigrants, throughout the East Bay region of Northern California. Centro Legal de la Raza’s seeks to hire an attorney to join our Workers’ Rights Program. Centro Legal has secured funding for the position from June through November 2015, but it is likely there will be funding to extend the position. Interested applicants should send a cover letter, resume, and list of three professional references to jobs@centrolegal.org, with the subject line, “Workers’ Rights Attorney Position.” Applications must be received by May 15 and will be considered on a rolling basis. The National Center for Youth Law is seeking to sponsor applicants for Skadden, Equal Justice Works, Soros, or other fellowships. NCYL is interested in applicants with a demonstrated commitment to child advocacy and/or poverty law. In particular, candidates for sponsorship should have a keen interest in advocacy for poor and vulnerable children. Founded in 1970, NCYL is a non-profit organization whose mission is to create lasting change for children in need. NCYL uses the law to ensure that low-income children have the resources, support, and opportunities they need for a fair start in life. We work to ensure that public agencies created to protect and care for children do so effectively. NCYL engages in class action litigation and other forms of advocacy intended to have a broad impact. The Center also provides assistance to other child advocates nationwide, conducts trainings, engages in legislative and administrative advocacy, and publishes a legal journal. Candidates do not need to have a specific fellowship project in mind. We will work with fellowship candidates to develop appropriate project ideas. NCYL has an excellent track record in receiving Skadden and Equal Justice Works Fellowships. The Sierra Club Environmental Law Program in the Washington DC office is seeking law students interested in public interest, environmental litigation to assist with its strategic lawsuits. The DC office is largely focused on climate change related litigation, including litigation related to all parts of the lifecycle of the use of coal, oil, and natural gas for energy generation, as well as energy efficiency and renewable energy expansion. Semester externs work on all aspects of litigation, including undertaking legal research, preparing written memoranda, and conducting factual investigation. Students may also draft notice letters, briefs and other pleadings, attend court appearances, and work on discovery. During the course of the program, students work with several of the Club’s attorneys, thus gaining exposure to a wide range of litigation styles. The Sierra Club is the nation’s oldest grassroots environmental organization as well as the nation’s leader in environmental litigation. The Environmental Law Program directs legal strategy for the Sierra Club’s climate recovery campaigns and chapters. The Program’s docket covers a diversity of environmental issues, from local pollution issues to cases of national significance on greenhouse gases, toxic pollution, clean air, clean water, and wilderness preservation. SCOTUS blog is seeking a new intern! SCOTUSblog is now accepting applications from current law students interested in interning with us. Details about the position’s qualifications and responsibilities, as well as how to apply, are below the jump. The principal focus of the internship (which is a paid one) will be assisting Tom with the “Petition of the day” and “Petitions to watch” features on the blog and maintaining the case pages. This will require roughly ten to twenty hours of work a week on a generally flexible work schedule, which can be accomplished remotely. The position will begin in mid-May, and the expected commitment would be through May 2016. An official or unofficial law school transcript. Application materials should be sent to Kali Borkoski at kborkoski@scotusblog.com and Andrew Hamm (ahamm@scotusblog.com). Materials must be received by April 21 for consideration. Murphy Anderson PLLC, a fast-paced and innovative public interest firm, is seeking an associate with 0-7 years of experience for its Washington office. The firm represents unions in all sectors of the economy, with a particular focus on finding creative ways to help workers organize. The firm also represents employees in wage-and-hour class actions and represents whistleblowers fighting fraud in health care, military procurement and the construction industry using the False Claims Act and similar SEC and IRS programs. The successful applicant will work in all areas of the firm’s practice. Applicants should have excellent writing skills, strong academic credentials and a demonstrated commitment to workers’ rights and public service. Federal judicial clerkship and law journal experience are favored, as is Spanish-language proficiency. Minority candidates are encouraged to apply. Applicants should send a cover letter, resume, brief legal writing sample, reference list and law school transcript to Mark Hanna (mhanna@murphypllc.com). Still looking for a summer job? Look no further than the Seattle and King County Dept. of Public Health! If you’re still looking for a summer job, Seattle and King County Department of Public Health is looking for a Healthy Housing Policy Analysis and Development legal intern for the summer. The position is described as that the law student will “assist in legal research, policy development, and, potentially, local government rule making to promote healthy housing for King County’s residents…The student will collaborate with the division’s Healthy Housing Team and the department’s Assessment, Policy Development and Evaluation staff, perform legal research and writing, assist in data gathering and analysis, and participate in policy development efforts.” The job begins at the earliest student time available and requires a minimum of 175 hours over ten weeks (we are flexible to accommodate student schedule and academic needs). There’s no financial stipend or compensation provided. You can contact Greg Wilson, Project/Program Manager for the Environmental Health Services Division at Greg.Wilson@KingCounty.gov or (206) 263-8449 with questions. The Southern Center for Human Rights (SCHR) invites applications for a Staff Attorney to join its Impact Litigation Unit (ILU). SCHR is a nonprofit, public interest law firm based in Atlanta that represents people facing the death penalty; brings class action challenges to cruel and inhumane conditions and practices in prisons and jails; and uses litigation, public education, and organizing to effect systemic change in the criminal justice system across the South. For more information about SCHR, see our website at www.schr.org. SCHR’s ILU challenges unconstitutional practices of the criminal justice system through federal and state litigation in Alabama and Georgia. The ILU’s work currently includes cases on behalf of people who are poor and are being denied attorneys for their criminal cases, people who have faced debtors’ prison practices, incarcerated people who are subject to unacceptably high levels of violence, people who have been mistreated by police, and people detained in jails in overcrowded and deplorable conditions. The Staff Attorney will join the eight-member ILU, consisting of five attorneys (two senior attorneys and three staff attorneys) and three paralegal/investigators. Responsibilities include: developing and extensively investigating cases for litigation; building relationships with clients and witnesses; working collaboratively with other SCHR attorneys, investigators, and volunteers on cases in all stages of federal and state litigation; and responding to requests for assistance from people in prisons and jails and their families. Frequent travel within Georgia and Alabama is required. The candidate must have excellent writing and oral advocacy skills and a proven ability to think strategically and creatively about litigation. SCHR seeks an attorney who takes initiative, responds to rapidly changing demands with flexibility, has skill and comfort working collaboratively with a team, ably balances working on multiple cases and assignments at once, and has a demonstrated track record of grace under pressure. A positive demeanor and excellent interpersonal skills are desired. The successful applicant will have a demonstrated commitment to working with the poor and communities of color and a keen awareness of the class and racial issues underlying the criminal justice system. Salary is commensurate with experience, within SCHR’s salary range. SCHR offers an excellent, 100% premium paid benefit package including medical, dental, vision care, and life insurance. Additional benefits include modest stipends for transportation and wellness, access to a flexible spending account, and childcare assistance (if eligible). Minimum three year commitment required. Driver’s license is required. Submit letter of interest, resume, writing sample, and contact information for three references to Sara Totonchi, by email at stotonchi (at) schr.org. Deadline to apply is Friday, May 22, 2015. NO PHONE CALLS PLEASE. ← Figure out your post-grad finances and how to make the most of your public service experience and more this week!